Sub: Agenda Items for next meeting of Standing Committee of NC (JCM)-reg. Ref: Ministry of Personnel, Public Grievances & Pensions, DoP&T’s letter No.F.No.3/3/2016-JCA dated 1st March 2017. Please find enclosed the items to be included in the agenda for meeting. Sub: Counting full service of Temporary causal labourers for pensionary and retirement benefits in Railways-reg. In this connection, the Staff Side brings following key points for consideration. (c) The status of casual labourers in railways after acquiring temporary status (termed as Temporary employee) is exactly similar to the substitutes in whose case, the total service from the date of attainment of temporary status is counted for reckoning qualifying service for pensionary benefits. (e) The SLPs filed by the Union of India before the Apex Court in a few cases of casual labourers were dismissed and the Hon’ble Supreme Court had directed the Union of India to calculate Pension and other retiral benefits payable to the retiring/retired employees, taking into account the 100% temporary status service. The Staff Side, therefore, requests to consider the above valid points and accord approval for counting total temporary status service of Casual Labourers for pensionary benefits in Railways. Sub: Modified Assured Career Progression Scheme (MACPS) for the Central Government Employees – Arbitrary revision of benchmark from “Good” to “Very Good”-reg. The Staff Side brings to the notice of the Government that after introduction of the Modified Assured Career Progression Scheme (MACPS) w.e.f. 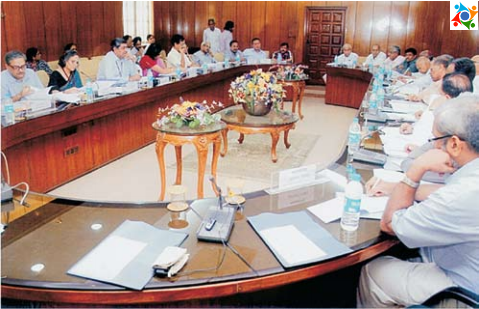 01st June 2009, the JCM (Staff Side) took up the issue relating to the benchmark laid down for granting financial upgradation under the schemd at the level of DoP&T and discussed in the Joint Committee Meetings and National Advisory Committee Meetings held on 17/0712012 ad 2710712012, urging to reconsider the benchmark concept taking into consideration the norms laid down for promotion of staff. After discussions, the DoP&T vide O.M. No. 35034/3/2008-Estt. (D) (Vol. II) dated 1st November 2010 & 4th October 2012 had issued instructions that the benchmark maintained for filling the vacancy through promotion by selection/non-selection/fitness be adopted for granting financial upgradation. The Staff Side however, expresses its disappointment over the decision (Resolution No.1-2/2016-IC dated 25th July 2016) of the Ministry of Finance (Department of Expenditure) introducing the benchmark “Very Good” for granting financial upgradation. The Government could have taken into consideration the bilateral agreement reached with the JCM (Staff Side) and the decision communicated vide DoP&T O.M. dated lst November 2010 and 4th October 2012 for continuance of the standard prescribed already for granting MACP. Ignoring the said decision and introducing the benchmark concept of “Very Good” is an unjustified action when bilateral agreement had already been reached with the JCM (Staff Side). The Staff Side therefore urges to review for cancellation of upgraded bench mark decision.